This is an excellent way to start your 90% silver holdings or add to your portfolio at a low premium. Each pre-made portfolio contains $10 Face Value of 90% silver made up of US half dollars, quarters, and dimes. 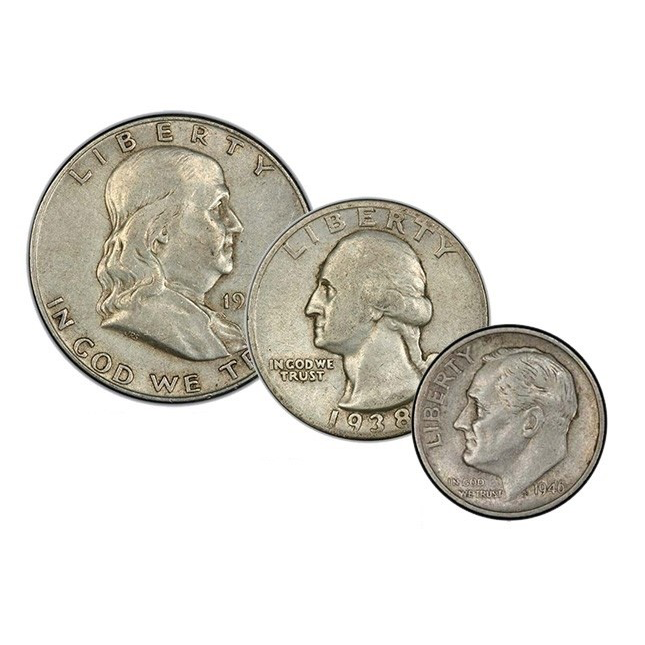 Coins are dated from before 1965, and thus consist of 90% silver. $5 Face Value of Dimes. $3 Face Value of Quarters. $2 Face Value of Half Dollars. Coins are still legal tender and guaranteed by the United States of America. 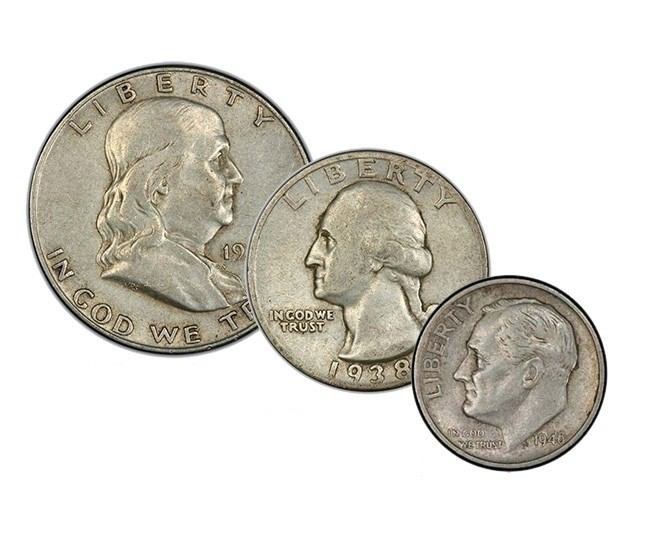 Before 1965, US pocket change consisted of 90% silver. Today, the metal that is in modern United States quarters, half dollars and nickels is of little value. As such, these coins are unique since they are still US Legal Tender that actually circulated in general commerce. These types of coins are usually held in case of an emergency. A small (but passionate) group of investors is convinced that in a currency crisis or emergency banking holiday, these small pre-1965 coins (otherwise known as junk coinage) will be extremely useful. The coins could be taken to a local coin dealer and sold for the metal content (for instance, if the banking system is closed or under strain). If the situation is particularly bad, this junk coinage might be used in trade directly (i.e., barter). Other fractional silver rounds can serve this same purpose. All orders from Monument Metals are guaranteed to be as described, shipped discretely, and fully insured. The best way to get started with silver!